Pizza Hut Offers Family Meal which starts at Rs 399. Get any Big Pizza Over Loaded - Meal for 2 which has 1 Big Pizza + 1 GB Stix/Plain + 1 Pepsi Bottle for just Rs 399. Code is not required. Check for Meal for 4 and the Giant Dinner BOX which has Less Price Compared to others. Choose the perfect meal for a family. Make your Choice for Crispy, Crust Pizza and so on. Order Your Family Meal Now and enjoy the tastiest food. Get cashback of up to Rs 100 on 3 successful orders paid through Paytm. Offer is not valid on 3rd party apps/website like Food Panda, Swiggy, Zomato etc. Get Flat 20% Off on all orders above Rs 300. Applicable on orders placed through the Domino's app only. Minimum order value - Rs 300. Valid on weekdays (Monday to Friday) from 11 am to 7:30 pm only. Cannot be combined with other offers/coupons. Offer not applicable on Every Day Value orders. Verified on 22 Feb 2019! PizzaHut is Offering Triple Treat Box For Just Rs 699. This exclusive and low price is valid every day. Promo code is not required. Go ahead and enjoy the All New Pizza Hut experience. This Meal for 4 is as Any 2 Non-Veg Medium Pizza + 1 Garlic Bread Stix + 1 Dip + 1 Potato Poppers + 1 Tandoori Paneer. Verified on 22 Feb 2019. Pizza Hut is Offering Classic Chicken Overloaded Pizza for Just Rs 299. Get Stuffed with minced chicken n herbs,topped with a delicious white sauce and Spiral Pasta with a classic cheesy white sauce, mushrooms and bell peppers. Get favorite Tuscani Pasta range as well - Spicy Tomato, Arrabbiata, Creamy Stroganoff, Creamy Mushroom, Creamy Spinach. Come and Order 1 exciting Pasta Recipes at Pizza Hut. Verified on 22 Feb 2019. PizzaHut is offering Magic Pan Box of 4 (Veg) for just Rs 385 only and Magic Pan Box of 4 (Non-Veg); Onion, Corn, 2 Meatball & Onion combo for just Rs 409. This is applicable in states like Andhra Pradesh, Assam, Bihar, Chhattisgarh, Delhi, Goa, Haryana, Himachal Pradesh, Jammu & Kashmir, Jharkhand, Kerala, Madhya Pradesh, Odisha, Punjab, Rajasthan, Tamil Nadu, Uttar Pradesh, Uttarakhand & West Bengal etc. Order now! Browse through Pizza Hut upgraded menu and order big pizza meal which is for 2 persons at just Rs 399. This combo offer meal consists of Any Veg Big Pizza + 1 Portion of Garlic Bread Stix + 1 Pepsi (Paneer Upgrade Rs 20 Per Big Pizza. Non-Veg Upgrade Rs 50 Per Big Pizza). Coupon codes are not required. Grab BIG PIZZA MEAL FOR 4: Any 2 Veg Big Pizzas + 2 Garlic Stix + 2 Pepsi (Paneer Upgrade Rs.20 Per Big Pizza. Non Veg Upgrade Rs.50 Per Big Pizza) for Rs 699 Only. Order Today! Also, order all new paneer soya supreme pizza which can be customized at just Rs 545. This Offer is Applicable On any Medium Sized Signature and Supreme varieties only. 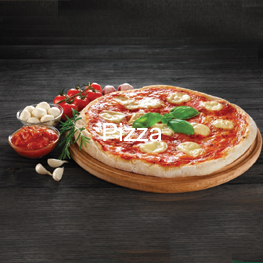 Pizza Hut Menu comprises of delicious pizzas, sides, beverages and desserts. And that’s just not it. You can also customize your freshly baked pizzas by changing the crust or adding more cheese and toppings as per your desire! Every Day Value Deal: Pizza Hut offers flat 50% OFF on 2 Medium Pan Pizzas. Dominos Pizza, India’s largest pizza delivery chain has announced a special discount deal for this festival season. Order the all new veg loaded fresh pan pizza from pizza mania menu online with Tomato I Jalapeno I Grilled Mushroom I Beans in a fresh Pan Crust is ready to be served hot and tasty to your place through their fastest delivery assurance. Grab this veg loaded pizza at just Rs 119. Everyday Value Deal: Dominos is offering the lowest prices on hand tossed pizzas. Choose any 2 medium hand-tossed pizzas worth Rs 295 for Rs 199 each. Dominos pizza crusts include handmade pan, hand tossed, crunchy thin, Brooklyn style, & gluten-free styles. This will not be applicable on sides, desserts and other add-ons. Available in all the major cities including Delhi, Chennai, Bangalore, Goa, Hyderabad, Pune, Mumbai, Kolkata and more.